Embracing spiritual life is a significant stepping stone for many individuals. For some it will not involved adherence to any particular religious group; for others it will be a deepening of their attachment to their own religious tradition or even the conversion to a religion into which they were not born. In Hebrew, the former is called "Baal Tshuva" (Baalat Tshuva for women) and the latter is called "Ger" (Gera for women). The newly religious or the new convert wants to celebrate his or her new status and all that it signifies. You can celebrate with them by offering a modest yet meaningful present or with a more expensive gift. Here I will make a few suggestions toward the modest end of the spectrum. Sometimes friends and family share the joy of the Baal Tshuva or Ger, but sometimes they are not at all pleased with the new direction upon which their loved one has embarked. Regardless, in order to maintain good relations it is wise to mark the new path with a small token that shows a degree of acceptance of that which cannot be changed. Yair Emanuel, Israeli artist based in Jerusalem, is well-known for his colorful designs. 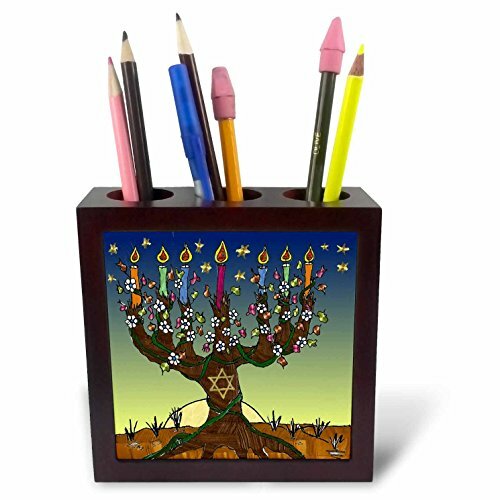 He uses motifs from traditional Judaism but in an upbeat contemporary fashion. Magnetized on the back, it can be hung on the refrigerator. It features pomegranates, wheat, grapes and the other plant species that the Jew blesses on various occasions. 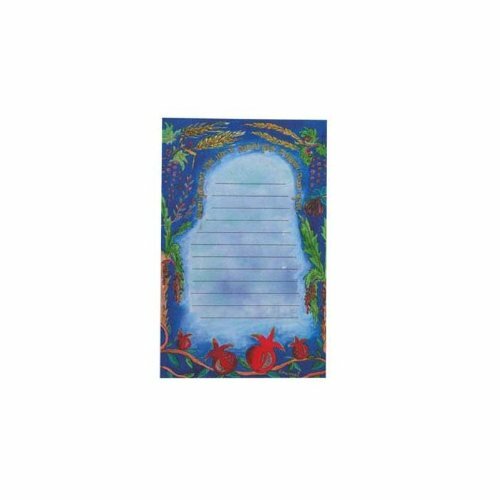 Give this gift alone or combined with another Emanuel functional art creation. Lee Hiller grew up in Oregon over 50 years ago. She is a prolific photographer and graphic designer. 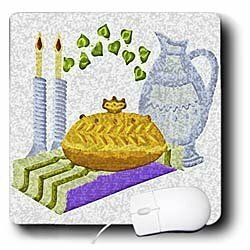 To find more wonderful designs, click: Judaic designs on mousepads. For about the same price, you can find these same Judaic designs on electric switch plates. 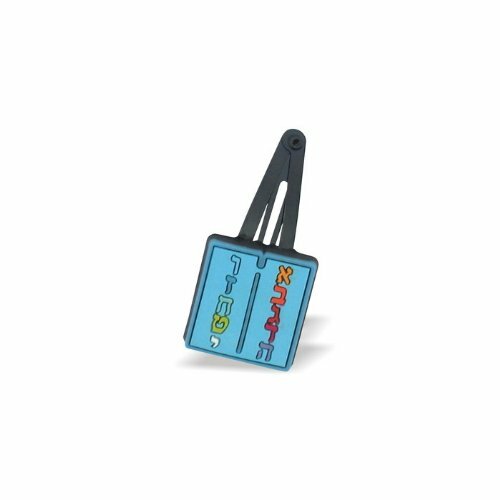 This colorfully designed mezuzah is a wonderful example of the item that Jewish people put onto their doorposts. Most Jewish families have one on the main entrance to the house and religious people put a mezuzah on every door but the bathroom/toilet. 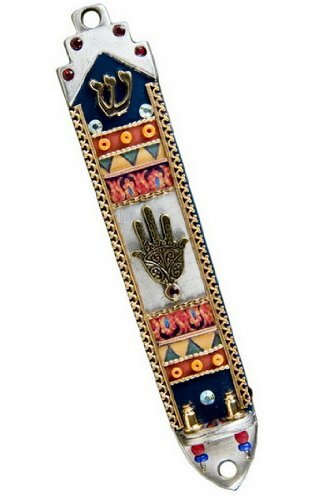 This mezuzah is decorated with a "hamsa" or "hand", a sign of protection common in the Middle East. The three middle fingers also form the Hebrew letter "shin", representing one of the many names of God found in the Torah. You can see the "shin" at the top of the mezuzah. To see more examples, click: Popular Mezuzot. A scroll inscribed with two psalms in Hebrew script is put inside the mezuzah. 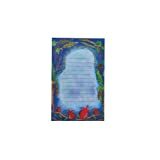 To order a kosher scroll, click: Mezuzah Scroll. A good-luck mug with the Middle Eastern symbol of protection from the Evil Eye: the Hamsa. 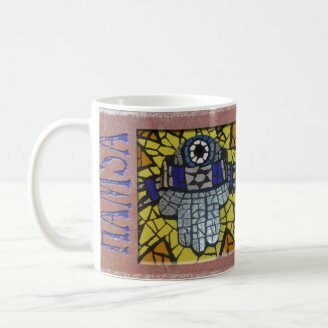 You can customize this mug. I think it looks even better as a two-tone mug with maroon inside or in frosted glass. These variations will cost a bit more. This brass paperweight is formed from the Hebrew letters for the word, Love. You pronounce the word, love, in Hebrew as: Ahava. This gift comes in a velvet lined gift-box. 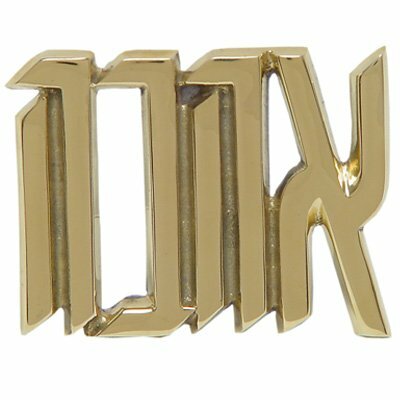 This set of 12 clips would be a useful gift for helping the scull-cap worn by religious Jews (also called Kippa or Yarmulka) stay in place on the head. The design is a replication of the double tablets upon which the ten commandments were written. Each of the first ten letters of the Hebrew alphabet represents a different commandment. 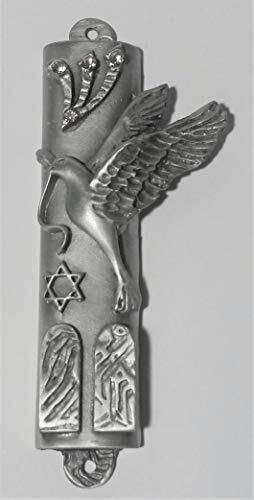 The pewter mezuzah, right, shows the peace dove, ten commandments, Star of David and the Hebrew letter (shin) representing one of the names for God, "Shadai". Swarovski crystals adorn the tops of the letter "shin". 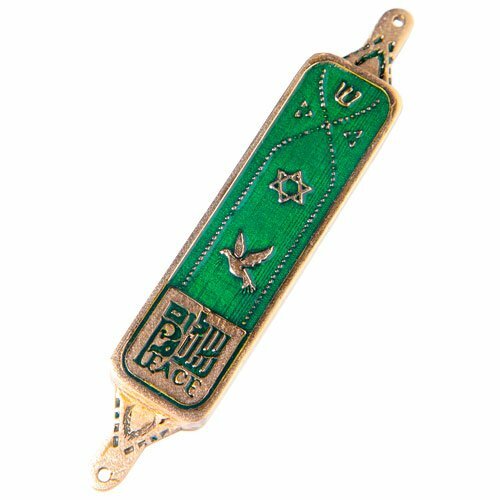 This mezuzah sells for $22.95. 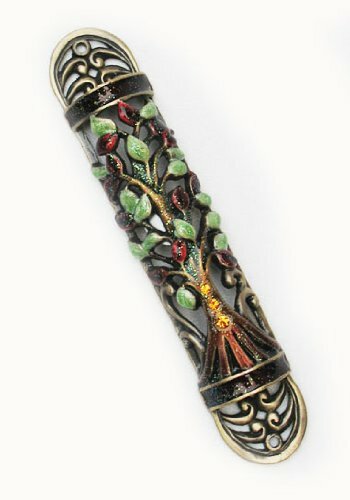 The mezuzah, bottom left, is made of pewter and decorated with the Tree of Life. It is hand painted and the colors sealed by enameling. Crystals also give the mezuzah some sparkle. It costs $26.95. The mezuzah at the bottom right is fashioned from recycled disarmed nuclear weapons and is inscribed with the word, Peace, in three languages: Hebrew, Arabic and English. It is available in several colors and costs $39.95. Lee Hiller designed this product. The frame and back are made of mahogany and the front has an inlaid tile with a Tree of Life design on it. While there are candles on the tree and it has been described as being a Hanukah menorah, it is not - note that there are 6+1 candles rather than the 8+1 required for Hanukah. This design really has no connection with any holiday and can be given at any time of the year. 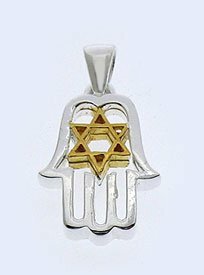 This pendant is made of sterling silver and the Star of David is coated with vermail. Vermail is a combination of sterling silver and gold or other precious metal. Vermail must consist of gold that is at least 10 carat (42%) and 2.5 micrometers thick; it is often 14 carat (58%) gold. 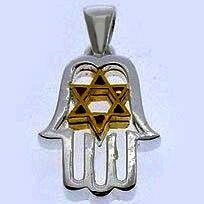 To find more pendants for both men and women in this price range, click Judaica pendants. Do You Know Anyone Who has Recently Embraced a More Spiritual Life-Style, Jewish or Otherwise?